Any sensible resolution to the ongoing crisis in the Bolivarian Republic of Venezuela ought, arguably, to go beyond the current simplistic sloganeering of being for “Team Maduro” (Russia, China, Cuba) or for “Team Guaidò” (US, UK and others), depending on the nation’s political interest. The current situation there is also far more complex than one to which our neutral foreign policy shibboleth of being “friends of all and satellites of none” might apply so as to offer a helpful suggestion, and Barbados patently does not possess the necessary geopolitical clout to be a major player in any final solution. Indeed, it may be reasonably regarded as an issue that we might prudently steer clear of, had it not been for the relative proximity of Venezuela to the Caribbean basin and the high probability of regional contagion from any civil war there. We might consider aligning ourselves with our CARICOM neighbours, but, even in that body, there exists the identical divisions that exist internationally, each member state’s position being voiced in accordance with its own perceived national interests. As a collective, the region appears to have agreed on a rational call for further dialogue and diplomacy in the matter, although it might be legitimately queried whether the time for this has not already passed. Yet the alternative is too awful to contemplate. Clearly, the immediate outcome will be either a continuation of the existing Maduro regime or a change to an unelected Guaidò-led government. The paramount consideration in this matter ought to be the best interests of the ordinary Venezuelan people, even if, from a purely legalistic point of view, the rule of law would consider the current Guaidò claim to the presidency nugatory. In this scenario, the issue should ideally be resolved by democratic arbitrament, but Sr. Maduro has already resisted this course. But therein lies the real complexity. How does one replace or install a governing administration outside of the constitutionally stipulated mode of doing so, except by changing the grundnorm, (the supra-constitutional order) which gives that administration its legitimacy? Revolution, (not necessarily violent), an outcome that no one wants, but one that now appears inevitable, usually effects that change. It might be a commentary, sad or otherwise, on the current state of local social existence when the return of a wallet containing a sum of money found by some schoolchildren goes viral on local social media. Of course, it was a commendable gesture, but I am assuming that it is not widely known that the alternative might have involved each of them in a possible criminal charge of theft by finding, so that their good deed was not only morally right but also the legally correct thing to do. At the same time, the honesty of these children should be a teaching moment for many of us, including those public officials for whom the state is currently seeking to establish elaborate and expensive legislative machinery to prevent and control corruption in public life. It was the youngsters’ conscience and not their knowledge and fear of the criminal law that ultimately dictated their plan of action. Would that our public officials were similarly minded when confronted with the possibility of benefit from corruptly using their office through illegally conferring a benefit on another for reward. Perhaps we should engage in the re-education, as defined by the Principal, of our public officers rather than enacting complex legislation to guide them as to the right thing to do. 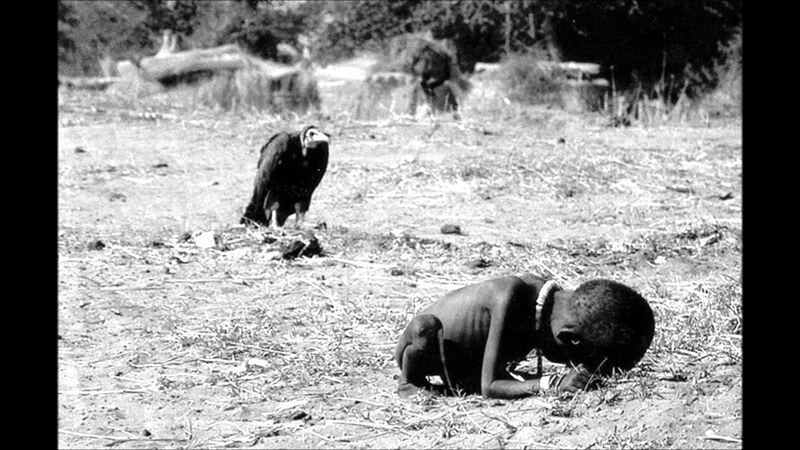 The children’s response in this scenario demonstrates clearly that corruption may be grounded in an admixture of selfishness, greed and a lack of concern for the plight of others. In his book, “Born a Crime”, Trevor Noah, the host of the popular “Today Show”, distinguishes between the circumstance where the criminal is aware of the identity of his or her victim and that where he or she is not. In the latter case, there is usually little or none of the remorse or sympathy that might be felt in the former situation. An act of corruption in public life is of the latter ilk; the victim is some remote, unidentifiable entity. Remorse? What remorse? Not all weird lawsuits originate in the US, however. During last week, we learnt of an Indian man, Raphael Samuel, who is suing his parents for giving birth to him without his consent and thereby causing him a life of suffering. I am at a loss as to how this suit should be classified. I am fully aware of actions for wrongful birth, as for example where the parents of an unwanted child sue for the economic loss resulting to them from the birth of the child. There is also the action for wrongful life, brought by the child alone or with the parents on the ground that the child should not have been born. 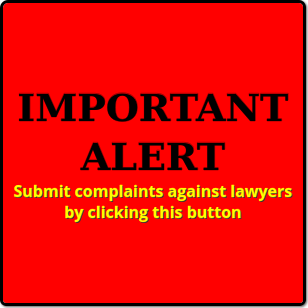 These actions are ordinarily brought against medical authorities that may have been negligent in performing a sterilization operation or in advising as to the success of one. For another, the law sets its face, rightly or wrongly, against regarding the birth of a healthy child as an actionable wrong. So that for all of Mr Samuel’s notion that “the world would be a much better place without human beings in it”, based on his belief in anti-natalism – a philosophy that argues that life is so full of misery that people should stop procreating immediately, it is doubtful that he will find a fellow believer in a temporal court that itself thrives on human existence. Have you tried to wrap your mind around the complexity of the problem facing Venezuela and the geopolitics being played out? Which means they can clearly think, analyze, rationalize and give at the cleft meal and legal conclusion…at their tender ages, which makes them future leaders..
more so than many ministers, politicians and known lawyers who have no such capabilities….and are adults mind you.. Which means they can clearly think, analyze, rationalize and ARRIVE AT THE CORRECT LEGAL AND MORAL CONCLUSION…at their tender ages, which makes them future leaders..
Yes… not complex…out with the old , but someone has to put a bell on the cat. We have people that hope he gets a bullet so they can make a decision on who they are for.. We have people who hope he takes the money and leaves . We have people that hope he stays and fights, because if any of the other two happens their screwed. If I was a betting man it will be one of the first two if he feels he can get out , with a load of cash, and one of his bosses dont kill him. What about North Korea for example? Who will bell the cat over there? 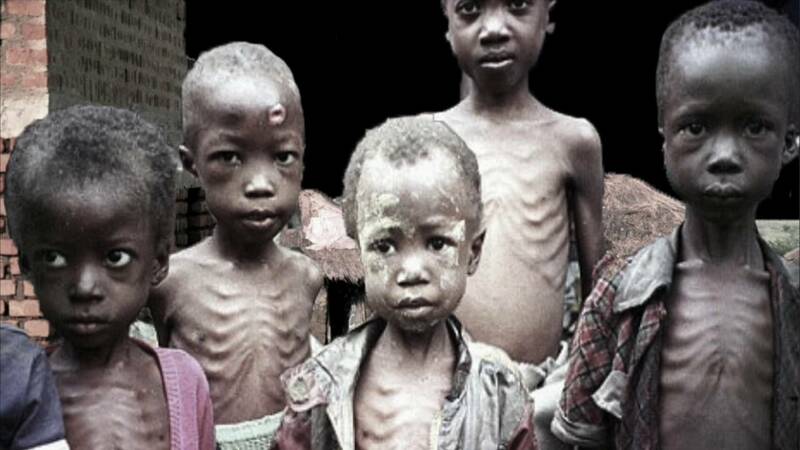 War can be a necessary evil in bringing hope for the hopeless . There are times when we can look at mother natures actions in helping us to find our way out of debilitating circumstances and as a good example to create new pathways to replaced evil with good. This is more than oil there is also a moral inclusion that must be protected against evil. Yours is not the point Jeff has unsuccessfully tried to make as far as you are concerned. The issue is not about the law, it is about how we educate our people in every way the capacity to do the right thing. Jeff, we are to assumed that in that wallet there was ID, or something indicating the identity of the owner or else it would have been the vendor’s lucky day based of the children honesty, ignorance and naivety? Don’t be naive. The North Korea situation is the same as Venezuela, that is, a people stripped of freedoms we take for granted in the West. The problem of Korea is complex and the US- even Trump knows with his bigoted brain. The X factor here Lawson is China isn’t it? Open your eyes and you will see. If you can. You have missed the point Lawson. Why is president trump meeting with the Korean leader, a man who was never elected and his father before him? We will wait on Trump like we did on Obama, Bush, Clinton and all the others. Lexicon some laws are just silly, bajan criminals dont need camouflage to work effectively,they just need the sun to go down. There is a fine line between ignorance and honesty because what would you have call those same children who may have found cash and given it to the vendor? There can be no progress if one defines the problem in the same way it has been done for Venezuela. The only reason we have not seen an exodus to South Korea and other countries is why? So you are admitting walls work lol. Venezuala is nothing like korea except that chinas and russia’s tentacles are there but barbados is not above being bought by china. The DMZ is not just a wall. Do your research. HA HA wall of mines wall of bricks wall of lead, its a wall I have not been there myself as you may have been but I do remember how the yacht club kept repairing theirs so I can only wonder why iand for what reason. What about an exodus to Chine if you persist in your ignorance about the DMZ? I already told you that is what china is afraid of a mass exodus from korea that is why they are reluctant to have their puppet give up control.America will make it very painful on china hoping they will come around. You agree the US cannot bully China they way they are attempting to Venezuela? Although both countries have a similar problem? Is that what continues to happen to 2 failed governments and their horribly tainted members…DBLP both over 60 years old..
maybe we should put children in the parliament…they are obviously cleaner, more honest, less arrogant and uppity..
titles will mean nothing to them.. The act of the children should be recognized, however, being honest is what is expected. It is normal behaviour. Next! The stron gest military in the world is america by far, the strongest economy is America ….unless a country is bent on the end of the world…which could happen if we let the nice muslim people look after the nuclear weapons then yes america can bully China which it is doing right now. Did you go to caracus with commisong and his daughter you seem to be picking a side. In america children are put in cabinet they are called democrats…. America is the strongest economy in the world because the greenback is held as the global reserve currency. Will this position stand always? I know that there are children who therefore following what they have been taught at home, but what children are taught at home must go hand in hand with common-sense … because giving the wallet to the vendor is no sure guarantee that the rightful owner would have gotten it rather than giving it to their parents who taught them right and wrong. However, I saw his partner before him and told him that I found a wallet, and he said to me: give it to him so that he could give it to the owner who was on the other side of the building looking for it. And I said to the partner: no I much prefer to give it to the owner myself because of the money and credit cards that were in it … and I did … and the owner offered me and hundred dollars with I flatly refused. Hows that bit coin thing working out, I dont see anything changing anytime soon. lexicon what you have done is cut out the middleman, by doing so cost him 100 dollars by your arrogance in wanting to be perceived as an honest man. I am an honest man, because the following week I went to a store in the heart of the ghetto and lost my wallet … realizing I do not have my wallet on me …I went back to the store and found it beneath the counter … If that not sowing and reaping then what else it is? Simplistic sloganeering of Team Maduro and Team Guiado? This in itself is simplistic. Its indeed complex; in this little regional showdown is the biggest ideological showdown the world has seen since the collapse of the Soviet Union. US capitalism is in crisis and so is US military strength. Trump may be a bit crude, but his America first cry goes right to the heart of the crisis. The Federal charges against Huawei are as bogus as US claims to be sending aid to Venezuela. It is a power play. The future – economic, military, communication, etc – is digital and there are two key digital power players, Silicon Valley and Beijing. The claims against Huawei must be seen in that context. So is Venezuela, the country with the biggest oil reserves in the world. China has its eyes on Venezuelan oil and the US is determined to restrict it. And the US is prepared to use all its regional influence (the Lima Group, OAS, etc, and satellite nations ie Brazil, a temporary friend) to remove Maduro. I can go on with this analysis, but the key point s made. What is important remains: what is the Barbados/CARICOM position on the legitimacy of the Maduro presidency? The answer to this exposes the so-called neutral position of the misleading claim to a Barrowian collective CARICOM foreign policy. By the way, the coffee-coloured middle classes have the means and contacts to escape, to speak English to the American and European press and to take television cameras in to poorly equipped hospitals. But where are the black Venezuelans in all this? Once again black people are marginalised. It is complex indeed. Lawson…what got you so prickled this morning though…. A hearty good morning to all of Barbados. Let me hasten to reassure you that though you are exposed to the wit of l (awsonl) and the wisdom of L(exicon) (the L&l team) this is BU and not hell. dont have to work today getting ready for trip down south,so thought I would get in the partying mood.last night was out at buddys house he just bought on golf course for dinner. he had just come back from england then LA was going to arizona another friend had just spent time in barbados then on viking cruise on rhine, I am off to DR then phoenix to golf , then barbados finally colombia before back to barbados for new years all blue collar workers on pension. This is the problem when a bunch of blue collar guys can afford to go anywhere it was like when rockefellar got a stock tip from the guy running the elevator time to get out of the market. According to Articles 233, 333 and 350 of the Venezuelan Constitution, Juan Guaidó is well within his power as president of the National Assembly to assume the presidency of Venezuela on a provisional basis. Not only were the presidential elections held last year UN-free and Unfair, but more than 50 countries did not recognize their results—leaving Maduro with no domestic or international legitimacy as president. Guaidó was elected unanimously following a coalition “pact” to rotate the National Assembly’s presidency every January 5. Guaidó had gone mostly unnoticed until Jan. 5, 2019, when he assumed the presidency of the National Assembly, which was mostly made up of Maduro’s opposition after the 2015 elections. Guaidó rose to that position thanks to an internal agreement among the opposition, where each party would take turns holding the presidency. When Guaidó was 26, he joined a group headed by Leopoldo López, who founded the Voluntad Popular (VP) Party. In 2019, it was VP’s turn and the party picked Guaidó. Guaidó is said to be the protégé of Leopoldo López, the jailed politician and founder of VP who headed the opposition since Chávez became president. 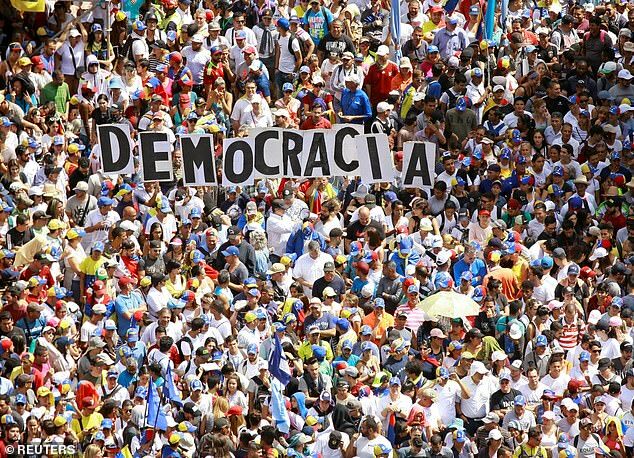 Article 233 of the Constitution states that the president of the National Assembly must assume the presidency of the republic in case there’s a power vacuum… Guaidó claims there is because of the questionable elections that weren’t recognized by a large portion of the international community. For Barbados and CARICOM to stay Silent is a Stance of Cowardice Unless Maduro has paid some of them off as is Alleged!!! Patriots Will Never Be Forgotten!! Those Standing AGAINST Injustices in their Beloved Country…Now Gone! WHO IN BARBADOS WILL STAND IN SUPPORT OF THOSE SUFFERING AND SEND THE MESSAGE TO OUR GOVERNMENT? WE MUST ALL STAND FOR WHAT IS RIGHT AND LET THE CONSEQUENCES FOLLOW!!! SPEAK NOW THAT YOUR VOICE MAY BE HEARD. good morning Theo you are up early I also see my patio furniture is still there, did you have a night in. Can’t stay out of Barbados huh..ya vibrating with excitement..
Plse do not attach too much thinking to the prime minister. She is not one for details. Her chief aim is to punch above her weight, other than that she wants us all to speak Mandarin, and Spanish, and if Putin comes along, Russian. Hers is a cult of personality. She has no broad vision of history and her place in it, she thinks only of the here and now – including picture opportunities. Remember, she is a former minister of education in a government that lasted 14 years. Do the sums: 14+10(dems) = 24. We have young graduates that were not born when the Arthur government first came to power. If they had a master plan the nation would be now enjoying the fruits of that plan, rather than gong around begging. Barbadian politics s one of personalities, not ideas. It does not matter if you have a BLP government or a DP, it is all the same. If it had started in 1966, people born in that year would now be 52, middle aged. So, a policy of free education has not borne any fruit. Our political class has failed us; our business class has failed us; our administrative class has failed us. Barbados is a failed nation. Why does the glorified yard fowl gloss over the heartwarming goodness of our children? With the nearly complete destruction of community life as we knew it these kids are real life heroes. If they had given the wallet to fellers who hang around the schools with musty underwear and scarves over their faces the money would have bought weed, crack or a gun. If Trump can reach out to a North Korea dictator he can sit with Maduro. USA long ago decided they are exceptional gods on earth so bringing the antagonists together to avoid carnage in Caracas wont be a bridge too far. The rush for Venezuela’s natural resources is the holy grail. John Bolton said so . On the chess boards of nuclear powers millions of unrepresented black and brown people meet brutish deaths when a move is made. No one is held responsible. Iraq, Libya, Syria, Angola, Greneda, Somalia, Vietnam et al can testify. Why cant USA, China, Russia, EU, Latin America (incl Venezuela) and Caribbean leaders sit down over a bowl of fish soup even in Martin’s Bay and talk it over. Make soup not war. Last word to the glorified yard fowl and his small coterie of aliases and sycophants. MOST PREFER TO LOOK THE OTHER WAY AFTER ALL ITS NOT THEIR FIGHT!!! We have to say something about these facts??? Or actions speak for themselves of the abuse and Barbarism that Maduro and his group of Corrupt Murderers Commit… Helped by people who Support them Committing Atrocities!!! …Three million people have fled Venezuela, escaping hunger, poverty and political repression under the rule of President Nicolas Maduro. DW’s Tim Sebastian asks the Venezuelan Ambassador to the EU, Claudia Salerno Caldera, why should Maduro stay on as leader? Conflict Zone is Deutsche Well’s top political interview. Every week, our hosts Tim Sebastian and Michel Friedman are face-to-face with global decision-makers, seeking straight answers to straight questions, putting the spotlight on controversial issues and calling the powerful to account. 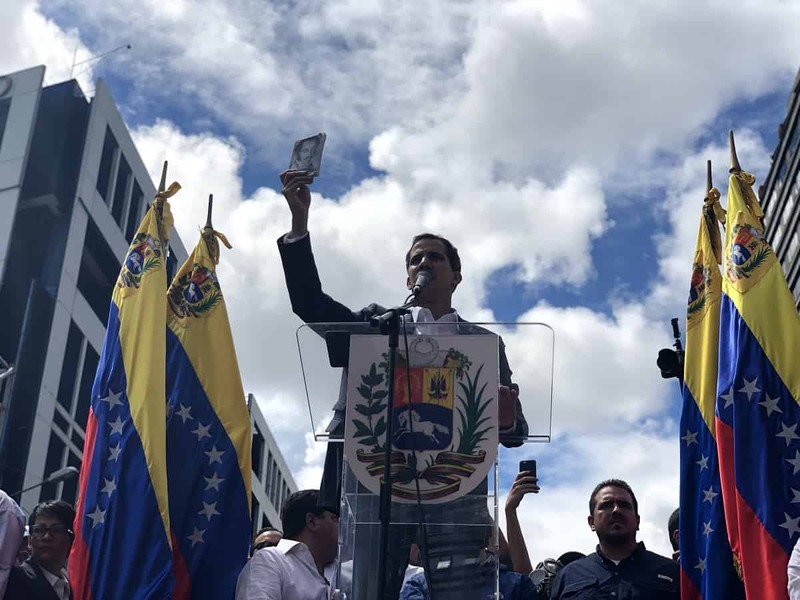 Article 233 of the Constitution states that the president of the National Assembly must assume the presidency of the republic in case there’s a power vacuum… Guaidó *claims there is because of the questionable elections that weren’t recognized by a large portion of the international community. @ Freedom Crier, you are of course aware that a claim does not create a legal fact? Can we contemplate anyone else other than the child of a lawyer bringing that suit for anti natalism… the world would be turned on its head if such comprehensive legal standing is given to “a rational explanation as to how we could have sought … consent [from an unborn re his/her birth]”. And this is no JOKE obviously as for years US activists have pushed for legal rights for the unborn/embryos within the explosive abortion debate….so as much as this action is “doomed to failure” there us much proximate legalese surrounding it that gives it impetus! And the leads to the query …WHY does the legal system even allow such frivolous/nonsensical action to be placed on a docket? Of course the case of the burgular falling through the skylight or the instances of failed sterilization are nuanced matters based on some finding of “negligence” so I don’t consider them as frivolous. But alas one must wonder if educating these hundreds of people who go forth and abuse the law … like lawyerly mothers infusing the basics within their off spring to be these legal burgulars… is NOT the original problem! @ DPD, simply because justice should not be denied to anyone, And we do not know the justice of a claim before it is adjudicated. Of course, the pre-emptive sticking out procedure is always there to weed out vexation and frivolity. The following extracted from “Investigative reporter Greg Palast is the author of The Best Democracy Money Can Buy, now a film, The Best Democracy Money Can Buy: The Case of the Stolen Election.Palast covered Venezuela during the Chavez presidency for BBC Television Newsnight and the Guardian. This article incorporates additional reporting by William Camacaro in Caracas”. On January 23, right after a phone call from Donald Trump, Juan Guaidó, former speaker of Venezuela’s National Assembly, declared himself president. No voting. When you have official recognition from The Donald, who needs elections? I can explain what’s going on in Venezuela in photos. First, we have Juan Guaidó, self-proclaimed (and Trump-proclaimed) president of the nation, with his wife and child, a photo prominently placed in The New York Times. And here, the class photo of Guaidó’s party members in the National Assembly. They appear, overwhelmingly light-skinned – especially when compared to their political opposites in the third photo, the congress members who support the elected President Nicolás Maduro. Four centuries of white supremacy in Venezuela by those who identify their ancestors as European came to an end with the 1998 election of Hugo Chavez, who won with the overwhelming support of the Mestizo majority. This turn away from white supremacy continues under Maduro, Chavez’s chosen successor. In my interviews with Chavez for BBC beginning in 2002, he talked with humor about the fury of a white ruling class finding itself displaced by a man who embraced his own Indigenous and African heritage. But, just as Maduro took office, the price of oil began its collapse, and the vast social programs that oil had paid for were now supported by borrowing money and printing it, causing wild inflation. The economic slide is now made impossibly worse by what the UN rapporteur for Venezuela compared to “medieval sieges.” The Trump administration cut off Venezuela from the oil sale proceeds from its biggest customer, the US. I’ve seen this movie before. When I look at today’s news reports of massive demonstrations against the so-called “dictatorship” of Venezuela’s left government, it looks awfully like 2002, when I was first in Caracas reporting for BBC Television. Then, The New York Times, NPR and other mainstream outlets in the US reported on marches against the Chavez government, describing the tens of thousands of Venezuelans calling for Chavez’s removal. The light-skinned protesters were overwhelmingly wealthy – and they wanted you to know it. Many of the women marched in high heels, the men peacocking in business suits, proudly displayed in the uniforms of their privileged class. The Chavistas wore patriotic yellow, blue and red T-shirts, sneakers, jeans. To anti-Chavista protesters, race was an issue as much as class economics. I heard these opposition demonstrators shout “Chavez, Monkey!” and worse. Many in the US have never heard this story of race war in Venezuela (and war is what it is), as the US press does not recognize its own racial bias. In 2002, as today, the massive demonstrations of the whiter Venezuelans were reported as evidence that Chavez was wildly unpopular. Yet, the day after each anti-Chavez march, I would witness and film the pro-Chavez demonstrations that flooded Caracas with an ocean of nearly half a million marchers, largely the Mestizo poor, that received little or no coverage in the US press. The bias continues. The New York Times did not run a photo of this past week’s pro-Maduro demonstrations. But in hard-to-find photos and reports from my colleagues on the ground, the Chavista demonstrations are bigger, involving mass turnouts in several cities, not just wealthy neighborhoods in Caracas. Why do the poor march for Maduro? Even though the Mestizo majority suffers today, they will not turn back to the pre-Chavez days of de facto apartheid. And we must remember this is not the first time the US government has tried to overthrow the elected government in Venezuela. In 2002, George W. Bush’s State Department cheer-led the coup. The plotters kidnapped Chavez and held him hostage. The coup was led by an oil industry leader and head of the Chamber of Commerce, Pedro Carmona, who had seized the nation’s White House, and, like Guaidó today, declared himself president. Carmona told me proudly about the fancy inaugural ball held by the nation’s elite and attended by Bush’s ambassador. But the Bush/Carmona coup collapsed when a million mostly Mestizo, Indigenous and Black Venezuelans flooded the capital and forced the plotters to return their hero, the supposedly unpopular Chavez, to Miraflores, the presidential palace. “Presidente” Carmona fled. Today, Guaidó’s supporters, like Carmona’s, know they can’t win an election given the overwhelming fact of the newly empowered Mestizo majority. So Guaidó has skipped the idea of an election altogether, simply replacing running for office with the “recognition” from Trump and allies which Guaidó can’t get from Venezuelans. I don’t think Trump was talking about Abrams’s program to bring universal health care to Georgia, as Chavez did for Venezuela. The putsch in Venezuela is run by the wealthy, internationally connected minority operating by a regime-change plan designed by neocon retread John Bolton, Trump’s national security adviser – a plan to control Venezuela and its oil, as Bolton openly proclaims. Ah, yes, the oil. It’s always the oil. And Venezuela has plenty to seize: the world’s largest reserves. We’ll get to that in Part II. This is “Black History Month” and while we hail the achievements of African American athletes, entertainers, politicians, scientists, inventors and freedom fighters during February……..
…………..the plight of these African children is placed on the “back burner” in preference for Guaidò, Maduro, Trump, Kim Jong-Un…… and the photos Freedom Crier often post to BU. Freedom Crier, you are one who comes to this forum, “talking” about the upliftment of Black people, but I’ve never seen you post any photos or refer to these types of situations. Why can’t you could exhibit to these children, the amount of passion you dedicate to Donald Trump? Such a lesson would only result in an ethics-teaching classroom devoid of political students. What other incentives are there for politicians to run for office other than the exercise of power to feather their own, family and friends financial nests? Without the opportunities for graft and corruption in public life, the Bajan Parliament would be just like the modern-day Anglican Church; unable to attract people of innate integrity and to be a moral light of persuasion to the young. You, Jeff and others on BU who are more attuned to the geopolitical know it is a complex issue. Many of the commenters who are pro M or G are not factoring impact on 26 million people in Venezuela OR the greed of the hegemonists. The 2002 coup against Chavez collapsed because of a lack of American support. Americans have been the main customer for the Venezuela’s only significant export, oil, paying the Chavista regime over US$1 billion a month in hard cash. It was only earlier last week that sanctions were applied to the oil industry as a whole. It is ludicrous to suggest that these minor restrictions had anything to do with an economic crisis that was well underway a decade earlier. The first sanctions in 2015 only targeted corrupt regime officials. In 2017 some minor sanctions were introduced preventing Americans from buying oil company debt, which almost no-one wanted to buy anyway. By then, the borrowing capacity of the country had long since been exhausted. Domestic policy, not foreign intervention, has led to this crisis. When businesses can’t operate because price controls have made them uneconomic and investors fear nationalisation without compensation, an economy will collapse very quickly. Shortages have occurred since 2005. Imaginary nonsense about the hoarding of items is no more than regime propaganda designed to distract from policy failure. The poverty rate is now 93%. Top Chavistas, on the other hand, are now extraordinarily rich. Chavez’s Minister of Finance has admitted to stealing US$1 billion. Chavez’s family now owns 17 country estates covering more than 100,000 acres and have liquid assets of $550 million. That’s not counting his daughter Maria, whose net worth is said to be over $4.2 billion. In Venezuela corruption has been elevated to an art form, with a rigged currency exchange system enabling the regime to bestow millions on regime cronies at will. State enterprises are run to create corruption opportunities for their Chavista managers through rigged contracts and sale of price controlled goods in the black market. Other major oil exporting countries were not forced into similar difficulties as a result of a price decline. High oil prices before 2014 merely helped to disguise the disastrous path the country was taking. Venezuela had used the high prices to borrow huge amounts, which it then was stretched to repay. It was also giving away over 200,000 barrels of oil per day – half of which to Cuba. The regime had destroyed the rest of the productive economy, so its dependence on oil was much enhanced. The main problem with its oil sector is not so much prices – which naturally go up and down – but the reduction in capacity through mismanagement. Venezuela now produces only a third as much oil as it did when Chavez came to power, the same level as in the 1940s. The regime, its security forces and hired militias have been terrorising the people. This is particularly true in the poorest slums where ‘Operation to Liberate the People’ has claimed around 10,000 lives. The Organisation of American States has referred the Venezuelan Government to the International Criminal Court for crimes against humanity, citing 8,000 extrajudicial killings, 12,000 arbitrary arrests and the detention of 13,000 political prisoners. It is doubtful that many of the regime’s forces will be prepared to risk their lives defending it. After all, the top military scattered when a malfunctioning drone appeared above a military parade. They’re in it for money, not their lives. 8 — Wasn’t Maduro democratically elected? No he wasn’t. The election itself was called by an illegitimate body, the “Constituent National Assembly” (created by Maduro to supplant the legitimate National Assembly) which barred many opposition political parties from taking part. Many popular opposition candidates were jailed by the government, blocked from taking part in the election or forced into exile. The international community and the National Assembly rejected the results and have called for free and fair elections. 9 — National Assembly President Juan Guaido has just appointed himself President. Is this a coup? The Venezuelan constitution provides for the National Assembly President to become interim President when there isn’t a President appointed according to the constitution. It is the job of the interim President to organise free and fair elections to choose a new President. Juan Guaido is just following constitutional requirements. informative article from Greg Palast there, David. puts a different colour on the issue, dont it? Mr Blogmaster, your varied statements above when taken together bring forth a sense of ‘huhh’ ! As was asked, how can the DPRK situation be realistically equated to Venezuela beyond general geopolitical wagering! If as you note its about “a people stripped of freedoms we take for granted in the West” then is that not true (as mentioned) of many other nations like Saudia Arabia, Russia or Turkey to name but three topical ones? And is involvement in the internal politics of others not the domain of big nations…like Russia in Crimea … so why interpret an aggressive US President acting as he is to a country he considers within his sphere of neighbourly influence as anything but realistic! US policies towards the economic mineral wealth of our Latin American neighbour has very limited comparative significance to its attitude towards the the saber rattling nucleaur powered threat of China’s next door neighbour! Of course POTUS needs to engage and talk with the DPRK… not in his falsely created echo chamber of averting nuclear war but as part of a serious effort to quiet a meglomaniacal ruler. THE LEFT ALWAYS PLAYS THE RACE CARD…TRYING TO TWIST VENEZUELA SITUATION INTO A CONDITION ABOUT RACE BECAUSE THEY ARE LOOSING THE ARGUMENT PERTAINING TO THE VENEZUELAN PEOPLE THAT ARE IN AND THEIR ECONOMIC CRISIS…WITH DESTITUTION, POVERTY, STARVATION, CRIMINALITY LACK OF ANY WORKING SERVICES, LACK OF BASICS SUCH AS FOOD, MEDICINES, ELECTRICITY, COOKING GAS, AMID THE WHOLE BREAK DOWN OF THE COUNTRY. PEOPLE ARE SO FED UP THEY HAVE NO RECOURSE THAN TO TAKE TO THE STREETS, EVEN YOUR BELOVED DICTATOR MADURO HIS SECURITY DETAIL ARE ALL CUBAN. NOT EVEN HIS OWN PEOPLE THAT HE SAYS HE TRUSTS!! SO YOUR ONLY RECOURSE IN LOOSING THE VENEZUELAN ARGUMENT IS TO TRY AND MAKE IT A RACIST ONE!! SOCIALISM DOES NOT HAVE A COLOUR IT AFFECTS US ALL!! IT WAS STARTED BY WHITE SKINNED PEOPLE WHO KILLED MANY MILLIONS IN GERMANY, IN RUSSIA, AND EVEN THE YELLOW SKINNED PEOPLE AS THE CHINESE ARE SOMETIMES REFERRED TOO AS, AND EVEN IN CAMBODIA AND NORTH KOREA HAVE BEEN DECIMATED AND DURING THE TIME OF MAO SOME 80 MILLION WERE EXTERMINATED! WHY EVEN IN YOUR BELOVED CUBA ALL THE LEADERS ARE WHITE!! SO YOUR ARGUMENT ABOUT RACE IN VENEZUELA IS TOTAL LEFTIST PROPAGANDA AND BOGUS!! YOU SEEK TO FOOL AND DECEIVE BAJAN’S!! IMAGINE HAVING TO FIGHT FOR BASIC RIGHTS AND A GOVERNMENT TO WORK FOR THE PEOPLE…OUR GOVERNMENT SHOULD NOT BE ON THE WRONG SIDE OF THIS!!! For this reason (among others), decent and peace-loving people everywhere should be alarmed at the emergence of “progressive” authoritarians in our midst. You know them when you see them: ambitious, power-seeking zealots who are full of plans for the lives of others; ivory-tower barbarians who busy their small minds with shutting down other opinions; witless activists who demand to live at the expense of others; and fanatic regulators, bureaucrats and busybodies who enjoy pushing other people around. 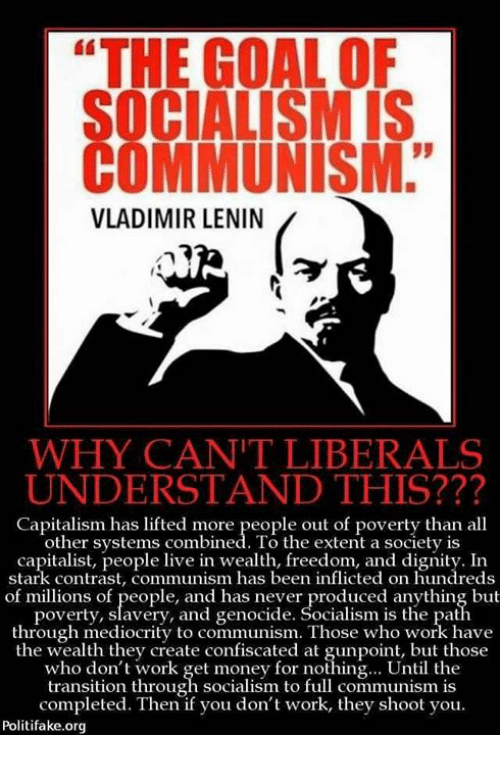 Communism and socialism are two different ideologies the same way fascism and capitalism are..
How do you think that Socialist Governments can get money to be Socialist, they First must Take from those that Work and Produce by their Ingenuity and promise it to those who Do Not Work hard and who Do Not Employ their Ingenuity. 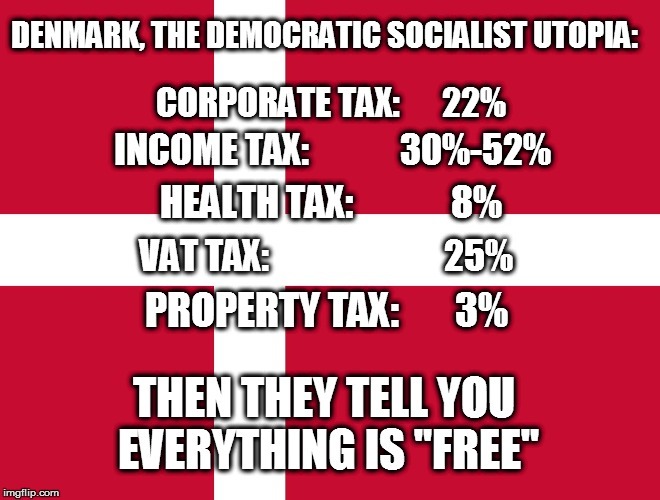 Socialism Promises Everything, Free Healthcare, Free Housing, Free Food, Security, nowadays there is talk of Guaranteed Income…going along, Free Primary Education, Free Secondary Education, Free University Education and Jobs. What no one ever tell you is that the Working Man has to Pay for ALL of it, the Government does not Earn any Income, they take it from others, Support themselves and then they give back very little of what was yours in the first place. Can you Refuse to pay National Insurance, or Duties, or Vat or the National Social Responsibility Tax (NRS Levy) or the Taxes on Gasoline, or the Taxes on Electricity and All the other Endless Taxes including your House and Land Tax with NO End in Sight? 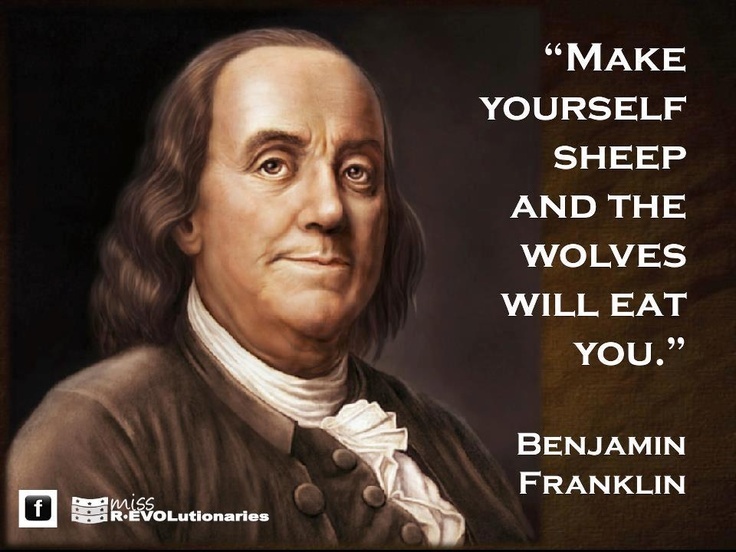 Government does Not Work for you…you Exist to work for them!! Government is supposed to represent and protect the people not Leech off them”! They are supposed to be the People’s Representatives however they have made themselves the people’s Masters and thus the people have become Serfs! We Exist to Feed their Edicts!! People are talking about this as though the intrigue is merely limited to the physiological and economic warfare spaces. American mercenaries, terrorists and special forces units are already testing Venezuela’s other national security spheres. Like Syria, but they will fail. Of course, they would prefer the Venezuelan military to act against the country. No real success so far. But they will do well to remember six milion Chavistas willing to defend their revolution from the oligarchs both foreign and domestic. We cannot trust a System that is Feeding off the people. Socialism is simply governmental ownership and management of the essential means for the production and distribution of goods. That is why Government should be limited to what we the people deem absolutely necessary. Government is supposed to represent and protect the people not Leech off them”! As stated previously, “Full Blown Socialism aims at complete Paternalism in Government. No individual is to own anything. Everything belongs to the state. All properties, utilities, industries, and persons are to be owned by the entire body politic, represented by the government, and this is the result…. We only have to look South to the Socialism Hell Hole of Venezuela and North to the Cuban Communist Cesspit that Commies wholeheartedly talk about as beacons on a Hill! there is this misconception that communism and socialism are the same. if that is the case, most of Europe especially the Scandinavian countries are communist and you hardly see them used as examples of failed socialist states. We come to this Forum to share Ideas and Understanding….Hopefully with an OPEN MIND that we may gain Insight on Common Ground!! LOL @JGreene and @HAustin… the only folks who misconceive socialism with communism are the same ones who misconstrue democracy (or a democratic government) with capitalism or autocracy with one-party rule…in a Bajan summary: ‘piececa idiots’… In general terms folks who want to minconceive for their own biased reasons or those who are genuinely ‘ignorant’ ! But @Hal you are on more solid ground re dissuading a Bajan from his/her position… you up to changing your mind re that ‘failed nation’ trope yet! Too complex to be dealt with. The art of Bajan rhetoric: talk a lot but say nothing. Remind me, did @Jeff teach Commissiong at UWI? What Jeff is saying is that we have no clout in this matter. This is in direct contrast to all the ballast that has littered BU in recent days! It is the exact position that others took and were cussed almost into oblivion. However, I must state that while I totally disagree with his position, I hope that the same level of respect be extended who hold his opinion. I feel to see how we can say that we are wasting our time or have no clout when a super power overturns the will of the Venezuelan people. Might is not synonymous with right. The simple answer is no. The more I look the more it is clear that Barbados is a failed state. It is beginning to look as if it is in the early stages of decay. Here are examples from the top of my head: an 18 yr old on a multi-murder charge appearing in court with any legal representation, against the very principle of due process; a bogus Sandbox regulatory system that few know anything about; an arbitrary decision to appoint a so-called police consultant in a public humiliation of the commissioner; the nonsense that is BERT (both political and economic); failure to investigate the Donville Inniss scandal; failure to investigate ICBL; a bold statement about a 12-hotel corridor and silence since then; the break down in law and order; the decision to prosecute the leader of the prison officers association (I am convinced it was a political decision); the side-lining of parliament in key decision making; the lack of decisions at the NIS; I can go on, but I do not intend boring you.. The Barbados position on Venezuela is irrelevant. We are members of a regional body and it is for CARICOM to have a position. Caricom is sitting on the fence claiming a bogus neutrality. Neutral about what? Further, the nonsense of our prime minister flying around posing about sorting out the Venezuela problem is serious self-delusion. She is needed at home where there is a serious crisis. She is not punching above her weight, she is living in a fantasy world and, in so doing, is misleading the nation. We urgently need principled leadership..
Oh Lordie One cannot But Shake Ones Head for those that are Willfully Blind!! Read Albert Brandford in the nation today . He completely agrees with your position. Agreed, Mr Skinner, but the truth of that proposition does not equate to a conferral of geopolitical weight. We should not take the Annan aphorism too seriously and believe that we can fight above our weight class in every context. And, incidentally, what is the will of the Venezuelan people? The Difference Between and Socialism and Communism is that one Gets the Power by Vote and the other by Gun…But they Believe the same Ideology…The Control of men!! …Cuba got theirs by the means of a Gun, Venezuela got theirs through the Ballot Box. They are Now Experiencing Full Blown Socialism = Communism!! Free Market Enterprise/Capitalism has lifted more people out of poverty than all other Systems combined. To the extent a Society is Capitalist, people live in wealth, Freedom, and Dignity. 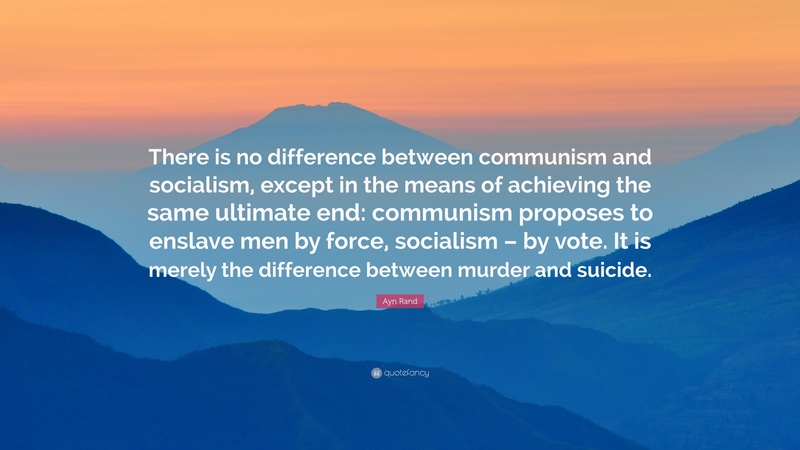 In Stark Contrast, Communism has been Inflicted on Hundreds of millions of people, and has never produced anything but Poverty, Slavery and Genocide. Socialism is the Path through Mediocrity to Communism. Those who Work have the Wealth they Create Confiscated at Gun point, but those who don’t work get money for nothing …Until the Transition through Socialism to Full Blown Communism is Completed. Then if you Don’t Work they Kill You! Certainly, you must agree that they had an elected government. Unless we are going to dismiss this fact , we can say no more than that was the will of the Venezuelan people. We do not seek to be conferred anything by any one! We determine our own strengths. I thought that we had passed that line of thinking since the mid 60s. All that the Caribbean really needs are leaders who see beyond what others believe we should be. Caricom is not going to side against China or the US that’s why they are on the fence. Is it wise to align with the powers that be who are financing your debt? Well if weakness is the absolute defence are we to turn our backs on sovereignty, non interfarence in the internal affairs of states? More fundamentally, should we also conclude that the Geneva Conventions and their absolute prohibition of ‘wars of aggression’ are also inert. Are we not running with the hare and hunting with hound? For the Caribbean cannot forever pretend that have a zone of peace and when there is an overy challenge thus, we them recoil to a weakness which will only further encourage the enemy. And if we cant assertively prevent war, there is no other defense we”ll have.